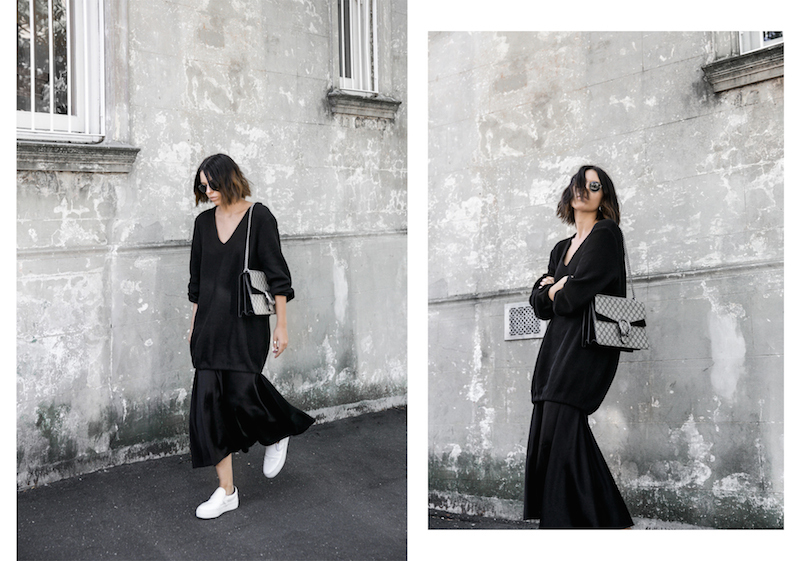 simple and sure to get one through those tricky mid-week outfit dilemmas. You can shop everything I’m wearing by following the links below. this look has such a great shape..i love it! 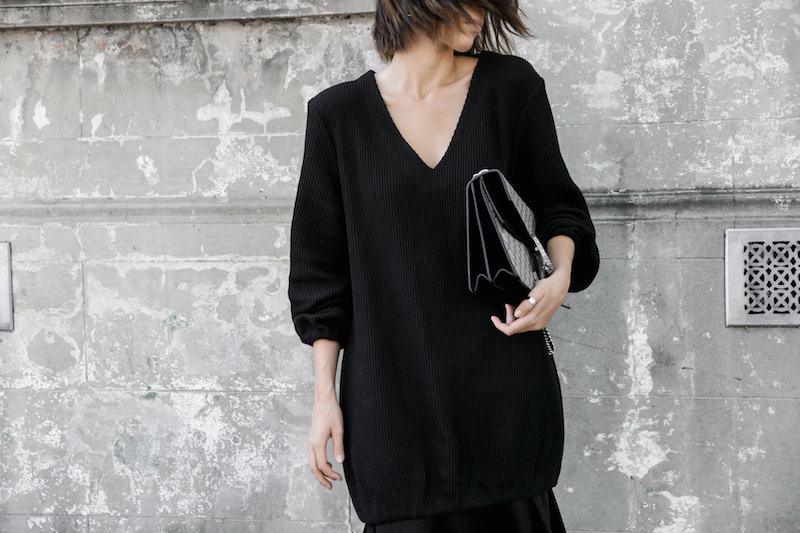 This is a gorgeous total black look. 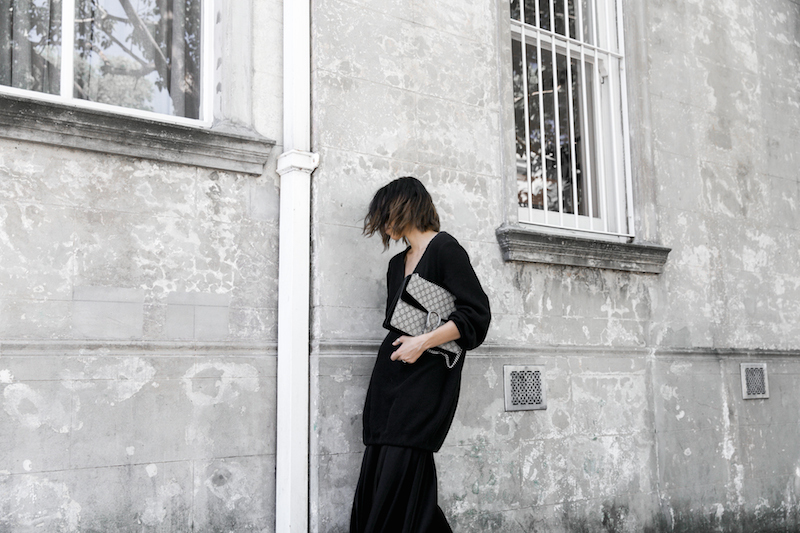 I love the oversized sweater over the midi skirt. SO nice combination! Hope you share more gorgeous photos like these with us! 😀 <3 You will like to see more fun from here. I love the mix of the knit and dress. Great outfit!! I love how you played with proportions with this outfit, so gorgeous! Love the sweater with the skirt playing with volumes!